As a not-for-profit electric cooperative, Corn Belt Energy is guided by 13 directors who are themselves residential members of the co-op and elected to serve three-year terms. Each director represents a specific District within Corn Belt's service territory. Please refer to our bylaws for additional information on director qualifications and eligibility. Robert and his wife Betty Jane, parents of two sons and grandparents to four boys, reside in Ottawa. Rob operates a 250-acre grain farm south of Ottawa and delivers ag chemicals for a local wholesale chemical company. The Angus family has lived on cooperative lines for over 40 years. Rob was first elected to the Illinois Valley Electric Cooperative (IVEC) board in 1993 and serves on Corn Belt's Finance Committee. Rob also serves on the Executive Board of the Wabash Valley Power Association (WVPA) and serves on the Risk Oversight committee. 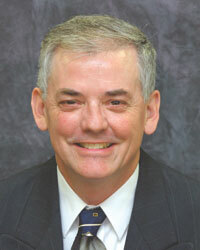 Rob is a Credentialed Cooperative Director and received the Board Leadership Certificate in 2008. Rob looks forward to continuing to serve Corn Belt members by maintaining reasonable rates and high quality service. Gary and his wife Sandra reside in Clinton, parents of two grown children and grandparents of three. 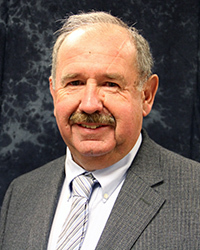 Gary was employed for 31 years by Clinton CUSD 15, serving his last 23 years as superintendent then retiring in 1999. Since then, he worked four years as a part-time educational consultant for DeWitt, Livingston and McLean Regional Office of Education. 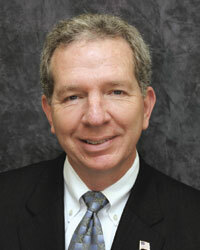 He is currently a part-time educational consultant for the Consulting and Resource Group of Monticello. Gary has served on numerous community boards during his 40+ years in Clinton. 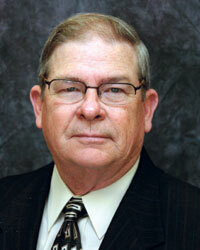 He has taken several NRECA training courses and completed his Credentialed Cooperative Director (CCD) Certificate. He hopes the knowledge and insights gained during his first three terms will enable him to be an effective director where he can contribute to the cooperative’s future growth and stability. Pete and his wife, Debbie, reside in Bloomington. They have been married for over 44 years and have two children and two grandchildren all residing in the Bloomington/Normal area. 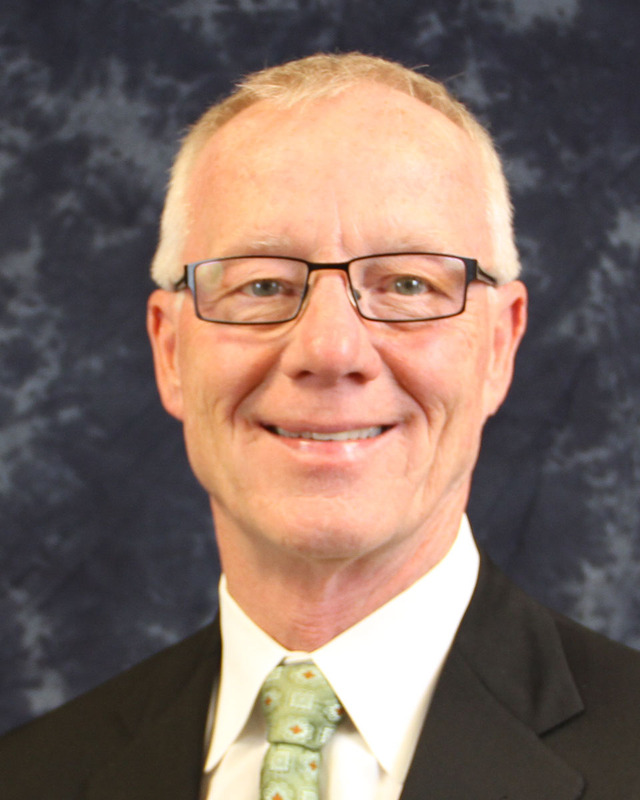 Pete retired from Country Financial as the Vice President and Corporate Controller in 2012 after a 38 year career. Pete is a certified public accountant (CPA) and also holds several other insurance industry accreditations. Pete has served on numerous Boards of Directors for social and civic agencies within McLean County and currently serves as Treasurer on the Board of Directors for the Illinois Prairie Community Foundation. Pete is looking forward to serving the membership of the Corn Belt Energy Cooperative and providing his best efforts toward maintaining the co-op’s delivery of excellent electrical service. Dennis and his wife Linda live in Victoria and they have two grown children and one granddaughter. He graduated from Carl Sandburg College and attended Western Illinois University. He farms 800 acres and is a seed dealer for Asgrow and DeKalb. Dennis and Linda are members of the First Presbyterian Church in Galesburg. 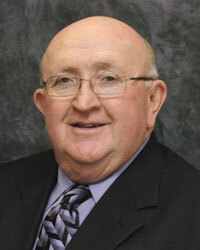 Dennis is a member of Illinois Corn Growers, Illinois Soybean Association, and Knox County Farm Bureau and serves as a director on the Association of Illinois Electric Cooperatives (AIEC) in Springfield. He originally served on the Illinois Valley Electric Cooperative (IVEC) board from 1995 until the merger in 1999 before beginning his service on the Corn Belt Board in 1999. Residents of Utica, Albert and his wife Eileen have three grown children. A Technical Ag graduate of Wisconsin State University, Albert began farming in 1971 and now farms 1,300 acres of corn and soybeans in partnership with his son and his brother. He is a member of the Waltham Presbyterian Church, LaSalle County Farm Bureau, and the Illinois Soybean Association. He served on the Illinois Valley Electric Cooperative (IVEC) board from 1979 to 1985, serving as president from 1982 to 1985. He served again on the IVEC board from 1995 until the merger in 1999, and on the Corn Belt Energy board from 1999 to present. Laverne resides in Maroa and has one daughter and two grandchildren. Laverne graduated from ISU with a Bachelor of Science degree majoring in biology and agriculture, with advanced study in agronomy and biological science. Laverne is the retired Executive Vice President and CFO of ASI Risk Management and Agriserve Crop Insurance, which he co-founded in 1982. He taught school for 8 years and farmed for 24. Laverne has also worked as a crop-adjustor, school board member, and has served on the Maroa-Forsyth Community Bank Board for 33 years. 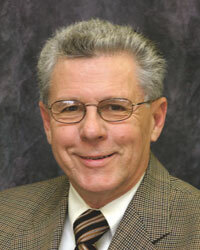 He has been a member of Corn Belt Energy for over 30 years and has served on the board since 1998. Describing his board experience as challenging and interesting, Laverne feels the importance of representing the area for the cooperative. Denise, husband Chad and 3 children (Izabella, age 6, Landon, age 5, Brooklyn, age 2) reside in Bloomington, IL. 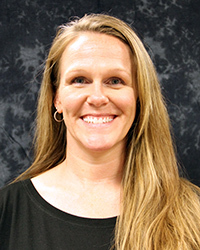 Born and raised in Central IL, Denise attended Illinois Wesleyan University, where she received her bachelor's degree in Business Administration. After graduation, she began her career as a financial advisor and manager in the securities industry and remained there for a period of 14 years before she resigned to oversee the operations of several family businesses. She and her husband Chad, own and operate Pro Air HVAC and C&E Heating and Air Conditioning - both founded in Bloomington, IL and ran with a principal of treating others as they would want to be treated in business. In her spare time, she enjoys spending quality time with her 3 vivacious children and living vicariously through their energy, curiosity and growing activities. Rae and his wife Jean reside in Bloomington. Employed by Illinois Farm Bureau as senior director of Legislative and Regulatory Affairs, Rae graduated from Illinois State University with a degree in finance and business administration. 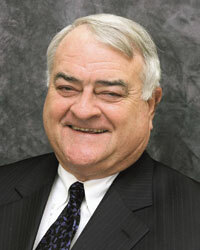 He has served on the Corn Belt Board of Directors since 1986 and has been chairman of the board since 1988. He has completed the Certificate for Credentialed Cooperative Director Program as well as additional courses administered by the National Rural Electric Cooperative Association. Rae has also served on the board of directors of 1st Farm Credit Services and on several other business and statewide government boards and commissions. Jan resides in rural Carlock and has been a Corn Belt co-op member 1960. She and her now-deceased husband were farmers for 48½ years and she continues to manage her farm of corn and soybeans with her son-in-law farming the land. Jan has four grown daughters and four delightful grandchildren. She is a retired administrative assistant, having worked at Chiddix Junior High for 19 years. Jan is very active at Carlock Mennonite Church and serves as recording secretary for the McLean County Sheriff’s Merit Commission. 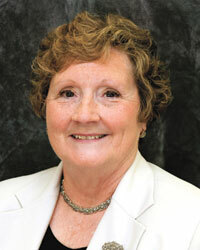 She is assistant secretary/treasurer on the Corn Belt board and serves on the Finance Committee. Jan has completed her Board Leadership Certificate and her Credentialed Cooperative Director certificate. Jan’s goal is to continue to represent and serve co-op members with reasonable rates and reliable service as well as returning capital credits in a timely fashion. Terry and his wife, Beth, reside in rural El Paso, parents of two grown daughters. Terry graduated from Illinois Central College in Diesel and Farm Service Technology. He worked for a farm dealership for eight years before starting his own farm implement repair business. The business is in its 30th year of operation. Terry has also been farming since 1988. He previously raised livestock, but now just farms grains. Terry has also been an assistant in Panola Township Road District for over 20 years. He is a member of the Woodford County Farm Bureau. 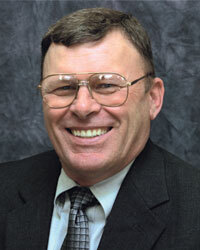 Terry served Corn Belt Energy as a Nominating Committee member for several years. He has attended many Corn Belt Energy Annual Meetings and admires the smooth operations of the Cooperative. Jesse Slager and his wife Linda have been married 45 years and have two children. They all live on the six generation family farm. Both daughter Beth and son Brian have built houses on the family property and live there with their families, including 4 grandchildren in all. Jessie is very active in his community serving on many boards for many years including the Orendorff Cemetery, the Boynton Mennonite Church, the Hopedale Betterment and the Triangle of Opportunity. He has also been a Hopedale Township Supervisor for 18 years. Jesse is excited to serve on the Corn Belt Energy board and enjoys meeting more members. Jerry and his wife Becky live in in Le Roy, the parents of two and grandparents to six. Jerry served 24 years of active duty in the U.S. Air Force and retired as a Lt. Colonel. Jerry received his Bachelor of Science in agriculture from the University of Illinois, a Masters in business administration from the University of North Dakota, and a Masters of Science in safety from Central Missouri University. He is a member and former president of the McLean County Elected Officials, and currently serves as the Empire Township Clerk. He completed the Certificate for Credentialed Cooperative Director Program and the Director’s Board Leadership Certificate Program in 2006. 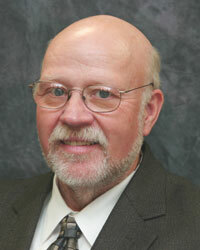 Jerry has served on the Corn Belt Board and the Finance Committee since 2004.